This Skinny Low Carb New England Cauliflower Clam Chowder is low carb, and no one will guess that cauliflower is the secret ingredient. I’ve got some exciting news! Last weekend, I was contacted by the producers of the Dr. Oz Show to come up with a healthy New England Clam Chowder for their Healthy Recipe Challenge. The trick was that my recipe couldn’t use heavy cream and needed to be light on the potatoes for a lower carb version. Having lived in New England for the past 25+ years, I’ve had plenty of New England Clam Chowder, both good and bad. So, this was my chance to recreate my own healthier version with all the best qualities of this regional favorite. As many of you know, I’ve had a bit of experience making creamless creamy soups and have a few tricks up my sleeve on how to recreate the rich mouth feel of a creamy soup without cream using ingredients such as cauliflower. 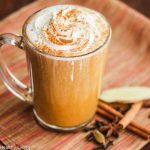 In fact, you might remember last Spring when I participated in an event at the Culinary Institute of America at Greystone where I demonstrated my Creamy Roasted Cauliflower and Chestnut Soup. For my New England Clam Chowder, I wanted the soup to be white in color, so I cooked the cauliflower in water instead of roasting it, which got rid of the sulfur smell that is often associated with this cruciferous vegetable. The key to this recipe is to use plenty of good quality clam juice so you get that clammy taste so reminiscent of New England Clam Chowder. The first time I made this recipe, I actually used half cauliflower and half Idaho potatoes, but found the potatoes melted right into the soup, so they only served as a thickener. I consulted with Chef Brian Lewis of Elm Restaurant, who knows his New England Clam Chowder, and he suggested cooking some Yukon gold or similar potatoes separately and adding them to the soup at the end. So, that’s what I did. A few cooked potatoes pieces serve as a garnish along with turkey bacon bits. Of course, for an even lower carb soup, simply leave out the potato garnish. Although I didn’t make it to the final round in the Healthy Recipe Challenge, I think Dr. Oz would have loved it. My entire family did and they had no idea the secret ingredient to making this Skinny New England Clam Chowder was cauliflower. My Skinny New England Cauliflower Clam Chowder might not have won the Dr. Oz Healthy Recipe Challenge, but it’s still a winner in my book. Thanks to the producers of the Dr. Oz Show for giving me the opportunity to share my recipe for Skinny New England Clam Chowder. 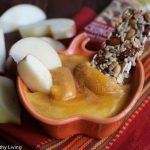 Amongst the runner-ups in this Healthy Recipe Challenge were several other bloggers that I am thrilled to have met as a result. Please be sure to check out their winning recipes that were submitted for this challenge. 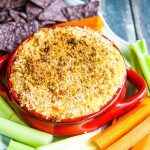 I know these ladies worked just as hard as me to come up with their recipes and video clips, so be sure to check out their healthier takes on their state favorites. 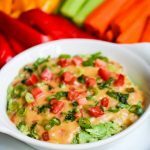 I hope you enjoy these healthy regional recipes! You can reserve some cooked cauliflower to stir in at the end for a little chunkiness, or if you're not on a low carb diet, you can stir in some cooked potato chunks. Bring large pot of water to a boil; add cauliflower florets and cook until cauliflower is tender, about 10-15 minutes, depending on the size of your florets; drain well. Place in blender with milk and puree until smooth. Heat olive oil in soup pot. Add turkey bacon and cook until crisp; remove to paper towel-lined plate using a slotted spoon. Add leeks and celery stalk to soup pot with remaining oil. Saute until leeks are softened; add clam juice, thyme and bay leaf. Season to taste with salt and pepper. Bring to a boil. Whisk in pureed cauliflower and milk mixture. Add clams and cooked potato chunks (if using) cook until clams are just cooked through, about 5 minutes. Stir in parsley just before serving. Ladle soup into bowls and garnish with bacon bits. How exciting Jeanette!! I’m so extremely thrilled for your opportunity. 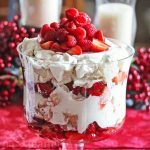 You still win in my book with this recipe!! Great blog! This recipe sounds delicious, and my all-time favorite soup is Clam Chowder. Thanks for linking to Some Kinda Good and for the kind words on my blog post. Looking forward to the show! This sounds soooo good. Congrats – will be watching today! How exciting! Jeannette, even though you didn’t win, I think it’s still a huge honor for you that you were invited to participate. Congratulations. This recipe is a keeper for sure. Congrats!!! That is so exciting! I just love this chowder–it looks so yummy. I lived in Maine for a short time and this reminds me of that! Hi Jeanette, thanks again for coordinating all this – it has been great to connect with all of you! Your Clam Chowder looks delicious! I’m especially excited about trying it with the cauliflower. I’m a cauliflower fiend in general (raw, steamed, smashed, I eat it all) so this sounds perfect! Congrats Jeanette – participating deserves as much kudos as winning! 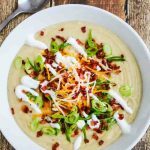 I cannot tolerate cream or cream based soups – so this soup is right up my alley! Love how healthy it is! So fun getting to know bloggers from all over the country because of this experience! 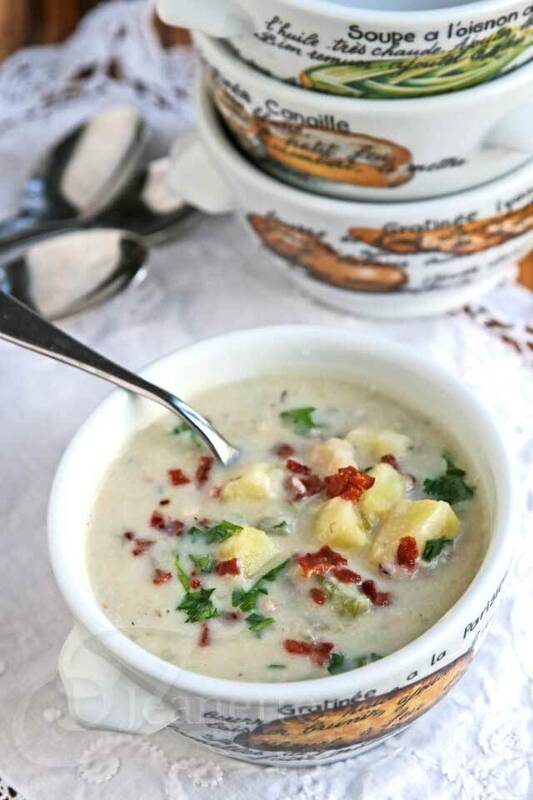 Love your healthier version of New England Clam Chowder! Perfect for the cold day we are experiencing today! Wow, that is so exciting, Jeanette!! Huge congrats, my friend. This looks amazing…so rich and velvety, but full of healthy, nourishing ingredients! Gorgeous photos too. 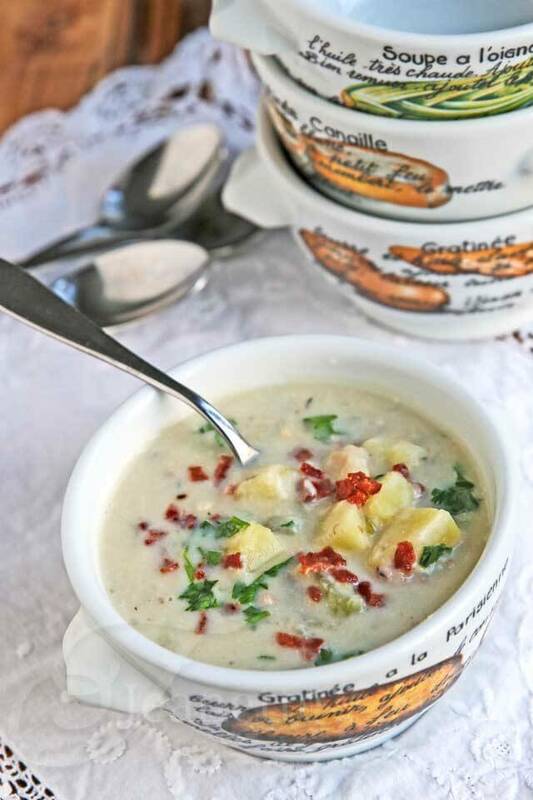 What a fun experience, and this would have been a winner in my book as well 🙂 I love clam chowder, but haven’t had any since going gluten-free, so I am ALL OVER making this soup! Huge congrats on getting asked to participate in the challenge & well deserved! CONGRATS!!! I’m SO SO SO SORRY I missed it. I’ll have to catch you on your next appearance… or post the video on here so we can check it out! 🙂 And I’m a huge fan of clam chowder. Love your take on it! 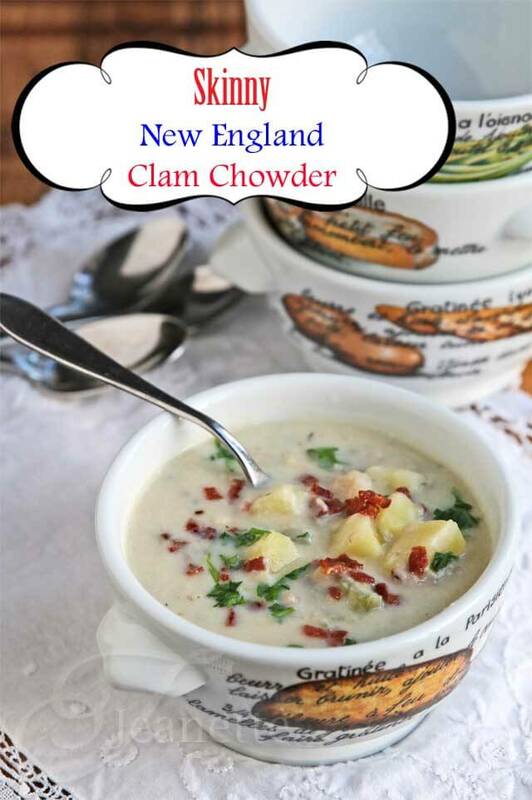 Thanks Brian – living in Boston, I’m sure you are a huge Clam Chowder fan! What a great tip to cook the potatoes separately before adding them into the soup! Thanks Sylvie – Chef Brian Lewis suggested that which I thought was a great idea. 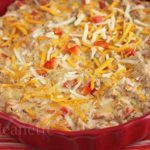 That way, you can leave them out if you’re low-carb or add them in for a little chunkiness. Congrats Jeanette!! I’m so happy for you! This soup looks fantastic! Thanks Layla! The soup is really good – hope you have a chance to try it. oh, this is really exciting and I can’t wait to try the cauliflower trick. What do you think about adding bay scallops to this instead of clams? I’ve done bay scallops in Manhattan chowder, but I think that the “creamy” New England version would be particularly satisfying for this time of year…. yum! 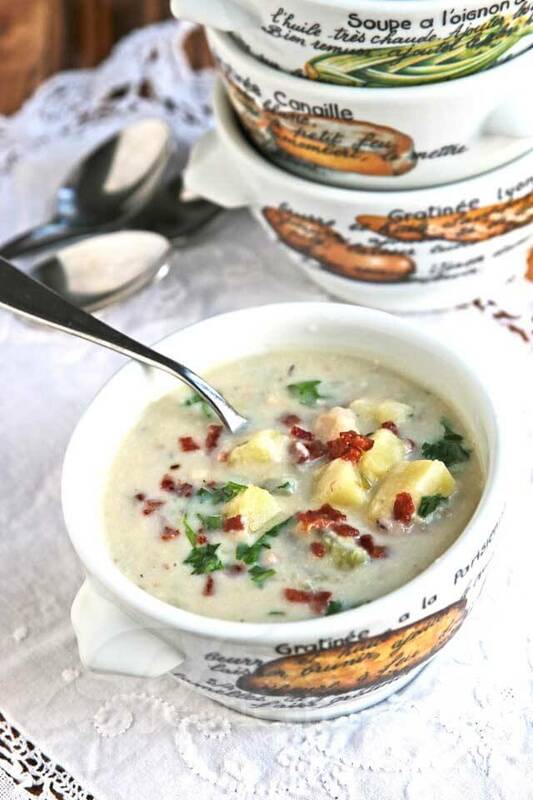 Thanks Robyn – I think bay scallops would be nice and sweet in this chowder – great idea! Looks delicious. And, it’s my favorite soup! Or one of them! Plus, we can pair it with a nice oaky Chardonnay. Of course, that ruins the skinny part, huh? Thanks Matt – a nice glass of Chardonnay would warm up the belly nicely with a bowl of chowder! That is so exciting Jeanette – congrats! And, this soup sounds amazing! Congrats on the Dr. Oz show feature! Your chow-dah looks great. 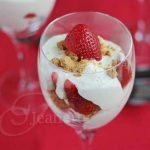 Jeanette – Congratulations and glad to see you are continuously coming up with great food ideas. We are clam chowda snobs … I’m from Mass. and it’s the good ol’ Cape Cod stuff that does it for me. In fact, we are planning on attending the Chowda Fest (Newport RI) again this year – great way to sample all kinds of chowder (although none are likely to be skinny!). I’m looking forward to trying your recipe and wonder if you will share what brand of clam juice you like – you indicated that it needs to be a one of good quality. Thanks Nancy. I used Bar Harbor clam juice and the extra clam juice from the fresh chopped clams I bought. Hope you and your family are doing well. I think it looks great! Clam chowder is one of my favorite soups. Am exploring your site and found this. I make it similarly to this and use coconut milk. It does make it sweeter but it is dairy free. The key according to my kids to balance the sweetness is hot sauce. Just the right amount. We use coconut milk in all our chowders. It is greatest in Corn Chowder. Back to enjooying the cite. Naomi – so glad you found my blog. 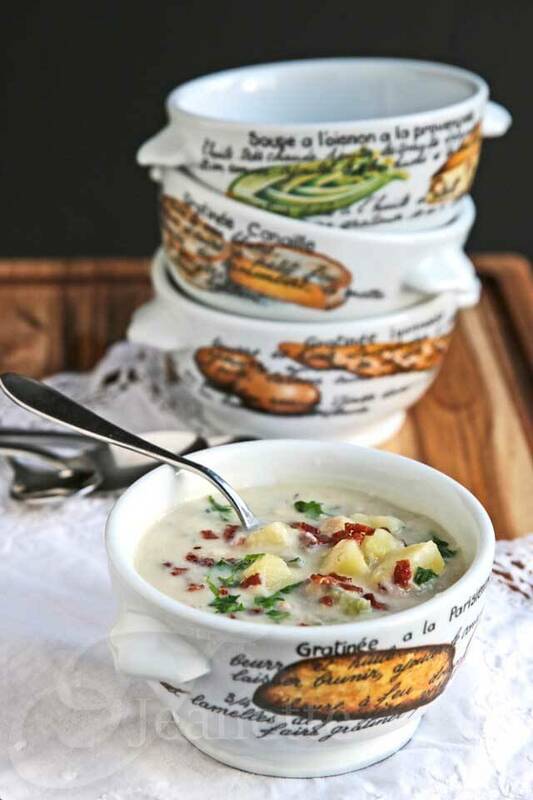 Thanks so much for sharing how you make your clam chowder! I realize this is an older post, but I just had to comment. 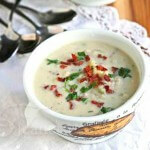 I love NE Clam Chowder, and I just happen to have everything I need in my pantry/fridge right now to make this! 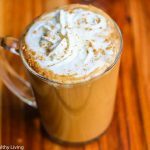 I love the post, and thank you for your gracious introduction to those other blogs! Going to try this over the week end. My hubby was just asking for clam chowder and I told him No! Not on our healthy eating kick so this will make his day for sure. Also—-love those bowls-where did you get them? Sue, I hope you and your hubby enjoy this skinny version of a clam chowder. 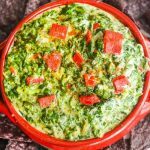 I made it multiple times when I was testing the recipe for the Dr. Oz show and my husband and kids loved it. I don’t remember where I got those bowls from – they are so old! I might have ordered them from Chef’s Catalog years ago. Let me know how the soup turns out. Hi, this looks great, going to make it tonight for my work lunches. Question since i am trying to meal prep..will this freeze? thanks! I haven’t tried freezing this soup, but regular clam chowder freezes fine so I think this should too.